Conaway Motors might be able to help you save money with a 60K mile service in Mukilteo. There is a price tag that goes with trading in your old vehicle for a new one. You never quite get enough value out of it to pay for another car or truck. Buying a used car or even a new one can bring a host of unknown factors to your driving experience. If your vehicle is essentially in good repair, a 60K mile service has the potential to add many more miles of life to your old flivver. Just to give you a reference that isn’t from an auto mechanic, an article from eSurance lists all the mileage checkups for your vehicle, and what you should expect to have happen at each one. At 60K, you should get all your fluids and filters changed – just as you did at 30K. But now, according to the article, you should get all belts replaced – especially if they have not been replaced earlier – along with any valves or hoses that are becoming worn. On some models of vehicle, this might be a time to replace the spark plugs. 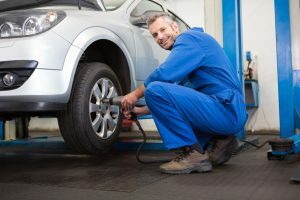 Doing all of these things at the same time can be a little pricey, but they are not nearly as expensive as having a mechanical failure out on the road. In fact, they probably aren’t going to be as expensive as adding a monthly car payment to your budget. That’s two potential areas for saving money – just with one regular maintenance event. So you see, Conaway Motors might be able to help you save money with a 60K mile service in Mukilteo, just give us a call at (425)905-2424. We’ll create an estimate and, with your go ahead, do the work.